Species of the Prunus genus can offer interesting foliage, beautiful flowers, and edible fruit in the home garden. These members of the Rosaceae family include many familiar grocery store staples: almonds, apricots, cherries, nectarines, peaches, and plums. There are over 400 species in this genus. Although often grown for their fruit, these trees and shrubs are also grown for their ornamental flowers, Prunus trees and shrubs usually have five petals and five sepals on each flower, which are often white. Some varieties have been bred to have double flowers with many more petals. Successful pollination of many Prunus trees and shrubs requires two different varieties. Check with your local extension office for recommendations for your area, as sometimes specific varieties are unable to pollinate each other. 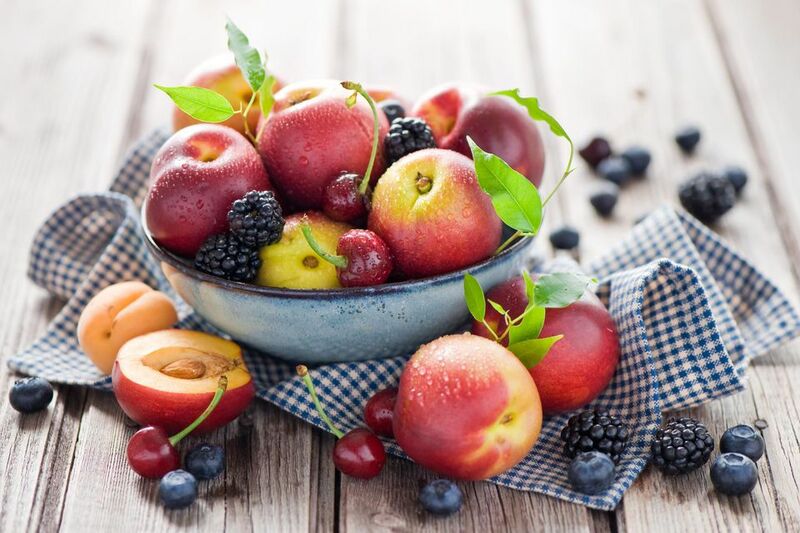 Since they have fruit surrounding a stone (also known as a pit), Prunus trees and shrubs are categorized stone fruits, known scientifically as drupes. The fruits of Prunus can be classified according to how their pulp is formed around the stone. Freestone fruits have flesh that pulls away easily from the pit, making them easy to eat fresh. Clingstone fruits have pulp that is fastened more firmly to the pit and can't be pulled away without damage. These trees and shrubs can be dangerous to plant if you have livestock. The foliage of many species is toxic to cud chewers such as goat and cattle. Birds love these fruit trees, which can be a double-edged sword. It's great if you want to attract some avian friends to your yard, but can be quite annoying if you're trying to raise a fruit crop. There are quite a few pests and diseases that attack the various Prunus species, but there are both chemical and organic ways of controlling these problems. The almond resembles an immature peach on the tree. If you crack open the pit, you find the "nut" that we eat. An almond is not a true nut, but instead is a fruit stone, similar to that produced by other Prunus species. Height: 30 feet tall. There are also dwarf and semi-dwarf cultivars available. Pollination: Requires cross-pollination. Pick varieties known to pollinate one another, as some varieties are incapable of this. Almonds are both eaten fresh and used in cooking. Ground almonds or almond meal and sugar are used to make marzipan, which is used in desserts and candies. Ground almonds can also be used to make almond butter, a spread similar to peanut butter. Some consider the almond to be a natural aphrodisiac for women. Apricots are sweet little orange gems that do well in dry climates. In fact, almost all of the apricots commercially grown in the U.S. come from California. Apricots do not do well in humid climates and can have problems in frosty conditions. Height: Most apricot varieties grow to be 10 to 20 feet tall. Pollination: Most varieties are able to pollinate themselves, so another variety is not necessary. The blackthorn is a large shrub (sometimes a small tree) that is covered in spines (hence the species name spinosa). The fruits are made into liquors, jams, pies, and pickles. In Britain, it is also used to make sloe gin (not a type of true gin). Creamy white flowers 1/2 inch in diameter appear in spring, just before the leaves appear. In addition to the use of its fruits in preserves and alcoholic drinks, this thorny plant is often used to form an impenetrable border barrier. Height: At its tallest, the blackthorn may be up to 16 feet tall. While the name and look of this shrub might suggest that the cherry laurel is related to the bay laurel (Laurus nobilis), they actually come from entirely different plant families. All parts of the cherry laurel except the fruit are poisonous. Do not plant these if you have cattle or sheep, as it is especially harmful to them and other ruminants. The fruit is rather flavorless to humans, but birds enjoy feasting on them. Creamy white flowers appear in April and May. Height: The cherry laurel can be up to 30 feet tall, though it is often pruned to stay at a shorter height. Also known as the Japanese apricot, this is the fruit that is pickled in Japanese cooking to create umeboshi. They are also pickled in Chinese cooking and are known as suanmeizi. The Chinese plum is also used for liquors, sauces, juices, and for medicinal purposes. In the U.S., this plant is normally grown for ornamental purposes, as it produces beautiful pink flowers in late winter and early spring. Another plant, the loquat, is also known as the Chinese plum, but it belongs to the Eriobotrya genus. Don't plant this if you have horses, cows, or goats as it is poisonous for them. It is also poisonous for the other ruminants, such as deer, moose, and bison. ​The European plum is the usual source for prunes (dried plums) since many of the cultivars are freestone and processing the pits is simpler. This species is also smaller than the Japanese plum and matures later. This tree is normally grown for the fruit crop, but the attractive white flowers that appear in April make it a good specimen tree, as well. Height: Depending on the variety, the European plum will generally reach a height of 15 to 30 feet tall. Some cultivars, such as 'Stanley' remain under 10 feet tall. Pollination: Many varieties of the European plum do not need a different variety for successful pollination. They cannot pollinate the Japanese plums. The Japanese flowering cherry is called sakura in Japanese and is the National flower of Japan. These is one of the cherry species celebrated every March and April in Washington, DC's National Cherry Blossom Festival, which commemorates the gift in 3000 trees to the United States from Japan in 1912. This species is often grafted onto the sweet cherry (Prunus avium). The flowers are white or pink and can be single or double. The tree will burst into bloom every spring and provide a spectacular show. Height: The Japanese flowering cherry will grow 15 to 40 feet tall, depending on the variety chosen. In the United States, most of the plums found in grocery stores will be a variety of Japanese plum, which is larger and sweeter than the European plum. They also bloom and ripen faster, producing fruit with more flesh and juice. While normally grown as an orchard food crop, the white blooms that appear in early spring give the tree some landscape use, as well. The loquat is also sometimes called a Japanese plum. While it is in the same family (Rosaceae), it is in an entirely different genus (Eriobotrya japonica). Height: The tree height depends on variety and may reach over 30 feet tall. Pollination: Plant a second variety of Japanese plum for proper pollination. You cannot use a European plum for pollinating a Japanese plum. Natural genetic mutations have brought many new and wondrous plants to the world of horticulture. One of them is the nectarine, which is a mutation of the peach. The result was a fruit that is hairless, smaller, redder in the skin, rounder and sweeter. Pure heaven! Each nectarine variety will feature either white or yellow pulp. Showy pink flowers appear in April, making this plant valuable both as a landscape specimen and as a source of fruit. If you don't harvest the fruit yourself, it will attract many birds. Latin Name: Prunus persica var. nectarina. Some use nucipersica as the variety. Height: The exact height will change by variety, but the nectarine tree can be up to 20 feet tall. Pollination: Nectarine tree varieties will not need a separate pollinator. The trunk of the paperbark cherry seems to be covered in plastic, but it's actually the bark itself that is a natural plastic. This species is sometimes used as the grafting base for other Prunus, such as the Yoshino cherry (Prunus x yedoensis). You can use a side-stub graft to join the two trees together. Peaches come in two different types: white flesh and yellow flesh. Most of the peaches sold in supermarkets are a freestone variety, as the clingstones are better for canning rather than eating fresh. These fuzzy fruits are juicy and sweet, with the white varieties being especially so. The peach is the state fruit of Alabama, Georgia, and South Carolina. Some varieties are grown more for ornamental purposes; the pink flowers that appear in early spring before the leaves appear are very attractive in the landscape. Unfortunately, there are a lot of pests and diseases that you might encounter if you plant peaches in your yard. Peach leaf curl is caused by the Taphrina deformans fungus and has the potential for serious damage. Other bacteria and fungal diseases may attack. Pests may include aphids, borers, Japanese beetles, scales, spider mites and tent caterpillars. Each peach variety will have a chilling hour requirement, which is the amount of cold weather they need for proper fruiting. Height: There are dwarf, semi-dwarf and standard peach varieties that can be up to 35 feet tall. Pollination: You will not need a different variety, as most peach varieties are able to pollinate themselves. Many plants within the Prunus genus are able to genetically cross with each other, resulting in new fruits. The cross of an apricot and a plum may be known as either apriplum, or plumcot, for example. Apriums are the cross of apricot + plum and resemble apricots more than plums. Pluots are the same cross with the plum characteristics being more prominent. Pluots are marketed in stores with clever names like "Dinosaur Eggs." Nectaplums are the result of crossing nectarines and plums. Nectarcots are produced when nectarines are crossed with apricots. Peacotums occur after peaches, apricots, and plums are bred together. This plant is normally grown for its burgundy foliage, though the white flowers appearing in April are also attractive. The fruit is not particularly useful for cooking, but this is a great plant for gardeners who want to bring birds to their yards. But unfortunately, it's also a favorite of the Japanese beetle (Popillia japonica). Plan on this tree living for no more than about 20 years, as it is susceptible to several pests and diseases. Sour cherries are too tart to eat out of hand for many people, so they are commonly used in cooking with sweetening. The most popular variety planted in the United States is the 'Montmorency'. The plant is not remarkable in the landscape, so is normally grown only for its fruit. Make sure you choose a location that does not have wet soil, which can encourage diseases and other problems. Height: Sour cherries can grow up to 50 feet tall, but they are usually pruned and kept at 12 to 15 feet tall. Pollination: Sour cherries are self-fertile and a second variety is not necessary. The sweet cherry is what you usually find in the North American grocery stores. The most common variety there is the 'Bing', though others like 'Rainier' will make an appearance too. These are much sweeter than the sour cherry and can be eaten fresh as well as being used in recipes. Plant in a location with soil that is well-draining, as soil that is too moist will cause problems such as rots and cankers. This tree's attractive white flowers appearing in early spring make it a viable landscape specimen, and it is one of the few Prunus species that also makes a good shade tree. You will need to use nets, reflective strips, owl statues or other methods of deterring birds, as they will gobble up your sweet cherries before you get a chance to harvest them. Height: Sweet cherries grow up to 35 feet tall. They are usually pruned to be 12 to 15 feet tall in the landscape. There are also dwarf and semi-dwarf varieties available. Pollination: You will need a different cherry variety for successful pollination. Check with your extension office for suggested matches as not all will pollinate your variety. The weeping Higan cherry is a favorite weeping tree due to its showy floral displays each spring. This tree is created by grafting this variety onto other rootstocks when it reaches approximately 6 feet tall. This gives it a stronger base and allows it to live for a long time. It is​ grown principally as a flowering landscape tree; the pea-sized fruit is insignificant and of no use other than to birds. The flowers come in shades of white or pink, depending on variety. There are double flowering varieties available, like 'Pendula Plena Rosea'. The wild cherry is a large tree that is a close relative of chokecherries. It must be planted in an area with full sun as it will die in shady areas. This North American tree is valued for its lumber, which is often used in cabinetry. In the landscape, it is planted both as a flowering specimen (white blooms appear in April to May) and as a shade tree. 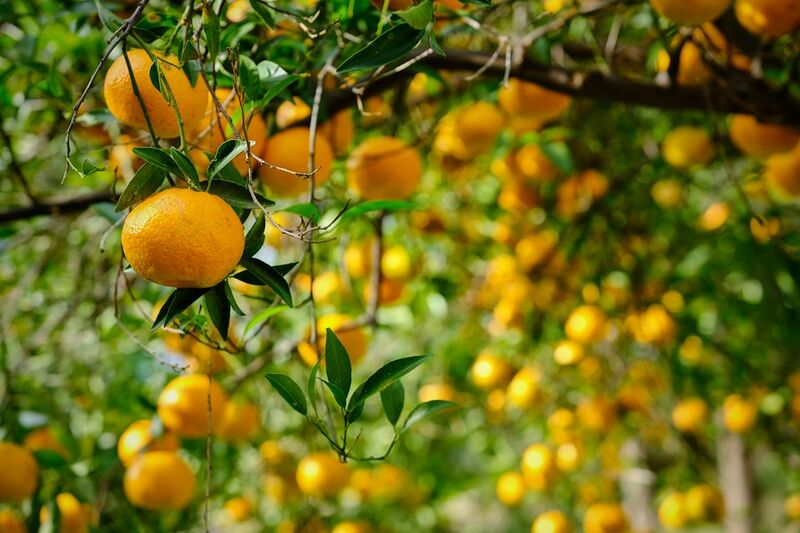 The fruits are used in wines, in jellies, and as a flavoring for brandy, ice creams, and sodas. You'll have to pick them right when they ripen; otherwise, birds will quickly eat the entire crop. This is a favorite treat of eastern tent caterpillars (Malacosoma americanum), which will munch away on the leaves. It's usually not a serious problem and the tree will not be permanently damaged. Livestock like goats and cattle can be poisoned by the wild cherry, so don't plant them near these animals.